How much will it cost to develop an online classified app like Kijiji? Classifieds Ads have existed for promoting businesses since the birth of capitalism. Earlier, it existed in the form of ads shown at the corner barber shop, then it shifted to classified app develop resulting in the form of Yellow Pages and finally it came to apps like Kijiji. But what is a Classified Ad and why should you care to develop a mobile app platform like Kijiji? Classifieds businesses are built around communities. Think of them as marketplaces for products, services, real estate and even jobs. They pioneer the second hand economy and help people discover products and services at reasonable prices in their own neighbourhoods. Where is the business opportunity you ask? The benefit classified ads online platforms like Kijiji provide to its users is a wide reach of services and communities. 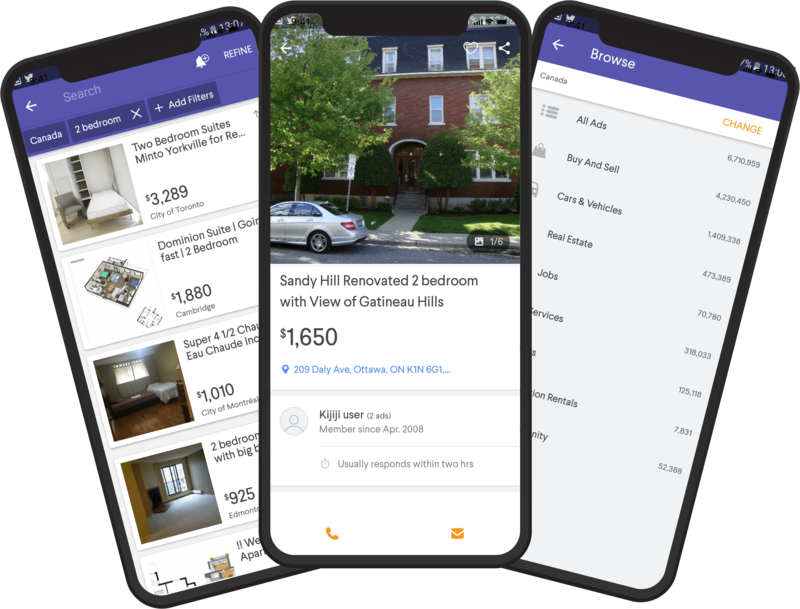 No matter what you are looking for – products, services, real estate or even jobs, you will be able to find it on the same platform, which also increases the engagement with people on the same classified app platform like Kijiji. The used goods business or the second hand economy is a huge opportunity. Incomes are rising but not skyrocketing; resources are limited and yet the demand is increasing – this provides the second hand economy the exact set up required to create a cycle. The market is tremendously big. On one layer, you acquire a lot of customers who come to your platform, create free accounts and search for their desired products and services. Second layer allows sellers to list their products and services on the platform at a nominal fee. You can charge an additional fee to help the seller increase visibility. Moreover, there are commissions on net sales and advertising revenues. 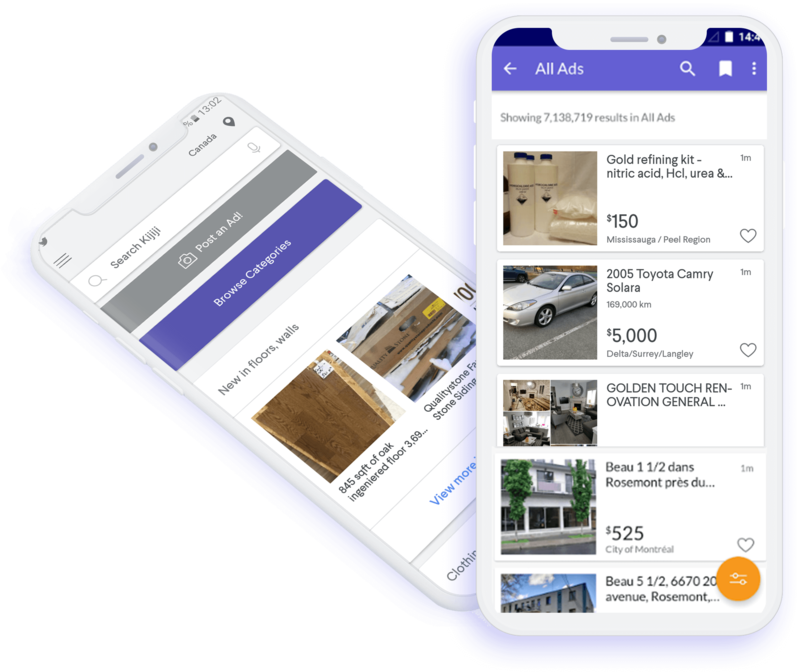 Are you looking to develop a classifieds app platform like Kijiji? Now that you know how lucrative the classifieds business can be, you might be wondering how and where to get started? Don’t worry, we got your back. Let’s Nurture has rich experience in custom website and mobile app development for ambitious entrepreneurs like you. We have a great team of website developers, software developers, Android and iOS App developers, project managers, analysts and UI/UX experts who will stand beside you on every level of your web app development or mobile app development. We can together go for a comprehensive classifieds app development for the target market of your choice, which can be a native Android mobile app, native iOS mobile app or a cross platform which is compatible with all the operating systems and devices. The total cost of developing a classifieds app like Kijiji will be in the ballpark of $14000-18000 per platform. The cost of developing a classified ad website will be approximately $12000-16000 depending on the features to be incorporated into the website platform. Features will remain same for both, mobile and web platforms. At the core of the entire analytics system of your classifieds ads app can be our machine learning algorithm for predictive analysis of customer demands. Customer demands can be dependent on numerous variables which may not be detectable to a human analyst. Hence, our machine learning algorithm will crunch all the consumer data and help your app provide the right product/service suggestions to the right consumers at the right time. This can be one of the key differentiators for your app in the classifieds market. Most of the web or mobile apps today are prone to numerous security threats. When it comes to classifieds apps which are running thousands of transactions on a daily basis, it is imperative to secure all the transactional data on a blockchain system. We have an extensive experience in blockchain backed systems development that can help you secure your transactions end to end. We are Chatbot development experts in India and USA, building Chatbot APIs for numerous clients now. Majority of the classifieds ads platforms lack the human touch when it comes to the first interaction between the web app or mobile application and the visitor. Our NLP powered Chatbots can help you personalize the very first interaction and provide customer support round-the-clock. What you get by teaming up with us to develop a classifieds app like Kijiji? The global classifieds market is booming every year and hence classified app development is a huge opportunity waiting for people interested to invest in it. The increased sales of smartphones, growth in the user base of smartphone technologies and increased accessibility of internet on a global scale is shifting the tides to online retail and digital marketing, on the golden intersection of which, is the classifieds market. The lucrative opportunity is being encashed by various players like Yelp, Craigslist and Kijiji. Yet, the biggest advantage a classifieds app can have is that of localization in its market. Now you know the market opportunity, have access to the resources required to leverage it and a prospective team of experts which can help you achieve it. Hit the iron, when it’s still hot! How long does it take to make a classified mobile application platform like Kijiji or Gumtree? The duration would depend on the exact specifications and the requirements which would be mentioned by you. Normally, our mobile application development team would say 10-12 weeks. What are ongoing costs for a classified app platform like Kijiji? What is the technology/server you will use to implement a Chatbox for buyer-seller communication in classified app development process? Will you launch my classified app on App Store and Google Play? Will you provide maintenance support for my classified adds app platform after it is developed? If yes, for how many months? Do you have your own team of Android and iOS Application developers? Yes, we have 80+ in-house resources working in Android app development, iOS/ iPhone app development, web development, blockchain development, chatbot development and Alexa app development. Do you provide a facility to hire dedicated developers for my classifieds application development project? Yes, we do provide flexible dedicated hiring models consisting highly skilled and certified web and mobile developers which are well versed in website and Android/ iOS mobile app development projects for diverse industries. Have an !dea to develop an online classified app like Kijiji?